MULTI-FAMILY or SINGLE FAMILY with RENTAL(s)! 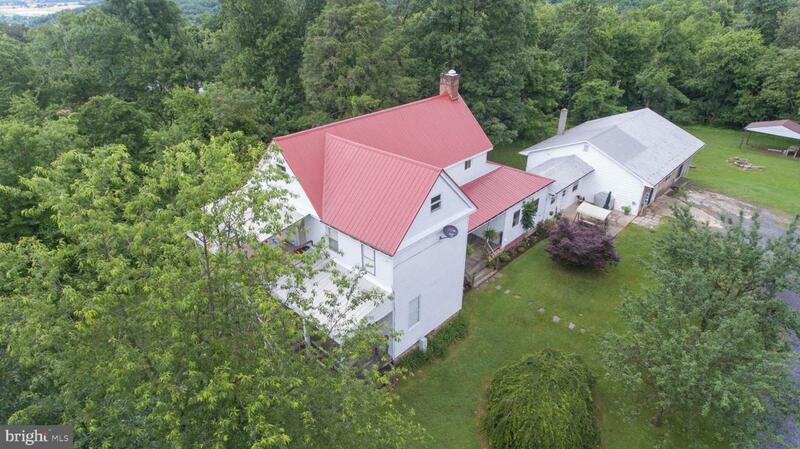 !~ Delightful, extremely well-maintained, secluded 6 bed 3.5 bath farmhouse/in-law suite on 9.5 wooded acres features climbing rock overlooking the historic Appalachian Trail.~ Explore numerous trails and collect an abundance of blackberries.~~Oozing character/charm, this home boasts 4 cozy fireplaces & outside seating areas to enjoy peace/quiet. (Options: easily convert back to single family w/garage, or rent in several combos)~ Bed & Breakfast? !~ Winery? !~ The possibilities are endless! !